Product prices and availability are accurate as of 2019-04-20 11:53:48 EDT and are subject to change. Any price and availability information displayed on http://www.amazon.com/ at the time of purchase will apply to the purchase of this product. Touchstone offers beautiful, 50" wide, electric fireplaces with realistic flames with a range of fireplace Frames that will make a strong design statement in your living room, family room or any room in your home. 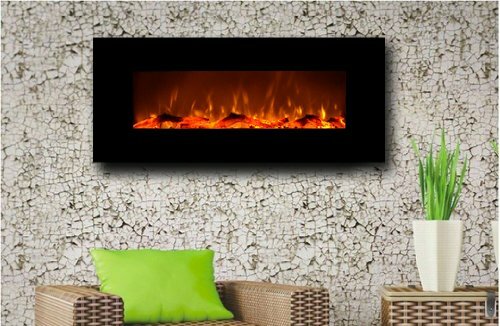 The electric fireplace delivers the beauty of a fireplace without the fire and smokey smell. Our Fireplaces have 2 heat settings (high and low), and will add heat to a room up to 400 sq. ft.. Also, the fireplace's flame can can be used without the heating feature. Touchstone Fireplaces are easy to install and comes with easy to follow instructions. Read more about the benefits of electric fireplaces.